Metal Polishing and Restoration Services. Check Our our new shop page! Neil Tuck is the main polisher and restorer and has over 29 years experience in the metal polishing and restoration industry. 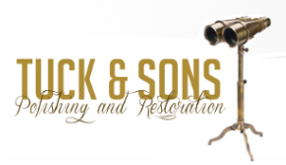 We have worked within the polishing and restoration of antiques and scientific instruments such as sextants, telescopes and binoculars. We also undertake a wide variety of work including architectural, car, motorcycle and aircraft parts. We also work extensively with the marine industry. We take great pride in our work and strive to achieve the best possible results and finishes on all our projects. Our customers are highly valued, and we aim to achieve 100% customer satisfaction. We polish all types of metal including brass, aluminum, copper and stainless steel all to an immaculate mirror finish. In addition to our polishing services, we can also offer bespoke engineering. We accept payment via PayPal which accepts all major credit cards, Bank Transfer and cash.